Todrick Hall was born on 4 April 1985, in Arlington, Texas, USA. He is a YouTuber, director, actor, singer and choreographer best known for his popular channel on YouTube. Others also know him for being a part of the ninth season of the television show “American Idol”. The various endeavors he’s worked on have helped raise his net worth to where it is today. How rich is Todrick Hall? As of early-2016, sources estimate that his net worth is at $3 million, mostly accumulated through a successful career in music and on YouTube. His channel is known to have exceeded two million subscribers and over 260 million views. He’s also working on music releases and television shows which help in raising his wealth. Todrick first came to notice when he auditioned for “American Idol”. He then worked his way up to the main stage and reached the semi-finals, where he was eliminated. Since then, he’s decided to work on various projects like a YouTube channel, which has become widely successful, and has collaborations that feature various popular music artists. Some of his popular videos include a flash mob for Ariana Grande, a Wizard of Oz musical rendition with Pentatonix, and a Beyonce themed flash mob. Todrick has earned notice from both the general viewing public and the artists themselves because of the videos. Many other doors have opened for him, one of which was a chance to be part of a Virgin America pop-music themed safety video, for which he wrote the song and lyrics, and also starred in it. He has also released a Christmas album entitled “Dear Santa” (2013), a mix of covers and original songs, including “So Cold”, “Sleigh Bells”, and “This Christmas”. He has also released a YouTube series which featured pop music entitled “Pop Star High” (2014). 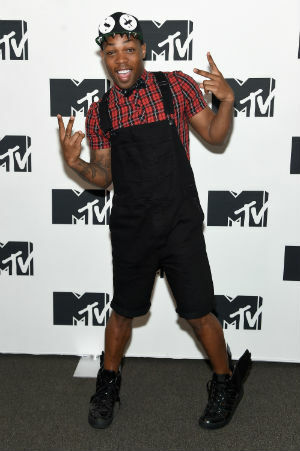 In television and film, Todrick was given several opportunities by MTV including a docuseries entitled “Todrick”, which followed Hall and his productions. He’s also been producing commercials for the channel. Aside from MTV, Todrick also became a judge for the eighth season of “RuPaul’s Drag Race”, and was part of the film entitled “Lake of Fire”. Todrick has been known to perform in Broadway productions as well, and has been planning to tour the US and the UK, which may help further his net worth once it continues. For his personal life, it is known that Hall was a part of a controversy while being on “American Idol”. It was reported that Todrick was asking several people for a $50 auditioning fee for an upcoming musical called “Oz, the Musical”. The show was cancelled but those who paid didn’t receive a refund. Todrick however denied his involvement with the financial aspect of the project. He has also been featured in Forbes “Top 30 Under 30” during 2014. His Wizard of Oz musical video from YouTube featuring Pentatonix was crowdfunded using Kickstarter, wherein he exceeded the goal that helped production of the video. There is no published information on his private life. Place Of Birth Arlington, Texas, U.S.
Robin Thicke: Blurred Lines Parody 2013 Video short T.I.